Meet Aimee, age 40, single mother of one who lost her job. Meet Mom, age 71, retired with a passion to care for her garden beds, but struggling body ailments over the recent years. Each has their own story to share with one common theme – the joy of yoga. Aimee and her mom have been instructed by The Yogi Coach for over a year. Their yoga practice began with private lessons each Saturday morning at Aimee’s place. They also would periodically attend group classes during the week. Each began the path of yoga for different reasons. 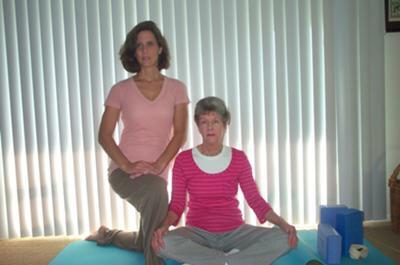 Aimee was seeking the meditative nature of yoga to help manage her stress level, while mom was looking for the fountain of youth and encouraged by her physician to consider yoga to help regulate her blood pressure. One of mom’s pastimes is to spend countless hours manicuring her flower gardens and nursing them to care which brings an incredible amount of joy and pleasure. Over the years her strength had decreased and the joy she once knew working in the garden was now replaced with pain. After a few months of practicing yoga on a regular basis, mom saw a huge improvement in her strength and endurance, and would have a big brilliant smile when discussing her gardening chores. ”I do not need help getting up from the ground anymore” she said one time. At other times she commented, “The struggles with the balancing poses in class and staying in the chair pose just for a few more breaths really worked.” It was quite obvious the energy released from the Saturday practices were noticeable in the calm and relaxed state of her after a yoga session. Mom often shared how wonderful she slept after a day of yoga. However, the biggest joy came from the physician who attributed her lower blood pressure to the regular practice of yoga. Aimee on the other hand became a casualty of the down economy and lost her job. She welcomed yoga as a means to manage this period of her life. Being a health conscious individual and physically fit, she enjoyed a more vigorous yoga routine, even though she would not admit it. She looked to yoga as a means to release stress naturally and also cleanse the body of toxins. I guided Aimee into more challenging poses than her mother knowing that she was capable and would benefit from them. 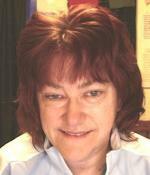 Aimee had an incredible amount of stress energy built up that needed to be released. Simple vinyasa routines assisted with that negative energy release. Her mind was at ease, her body was cleansed and her soul was soothed after a yoga session. She also embraced the meditative and healing aspects of savasana even more after a vigorous routine. ”I feel so relaxed, refreshed and think more clearly after yoga” Aimee would say. I knew the practice had grown to new levels when the family cat began appearing more and more during the practice. On one special day the cat joined us in savasana with legs and feet in perfect position, no alignment was needed, and even snored a few times. A time we all cherish to this day. As an instructor, just listening and observing them after a yoga session was like feeling the warmth of a mid-summer day in Central New York. Their eyes gleamed with freshness and their bright smiles glowed with peace and happiness. The important point however, is each has different reasons to practice yoga, yet the results were the same – peace, happiness and vitality. Thank you, Aimee and Mom, for sharing your story.